In this article, we’re going to talk about Houston server virtualization vendors and what you need to know before choosing the right one for your business. In IT, virtualization is defined as the act of creating a virtual version of computer hardware, storage devices, servers or a network. For example, a software that runs on a server computer will allow the system to host plenty of operating systems. The physical server is able to do this because it has several virtual systems that are operating on it. Saving space and reducing huge costs. Making sure that any unused computing space is not wasted. There are plenty of virtualization vendors on the market and it’s important to go with the best one. The cost – We all look at costs whenever we plan to make an investment, even when we go to the supermarket to buy groceries. When you start doing your research, you should also look at the prices of these services, so that you can get an idea of how much you should be paying for them. Customer support – This is extremely important, especially since you don’t know when something can go wrong. Check out their website to see if they provide 24/7 support, on what channels you can reach them and what their average response time is. Updates – Make sure that the package you will buy comes with updates as well. The IT industry constantly changes and your goal is to do business with a company that will help you stay up-to-date with all future changes. License – Generally speaking, every software has a license. When you’re researching Houston server virtualization vendors, make sure that you are aware of their rules regarding the purchase of licenses. It’s good to know from the start if the software you’re buying comes with a license or not because some vendors can try to fool you with this. Constant communication – The company you’re going to work with has to communicate with you at all times, right from the moment you become their client. A virtualization vendor has to be capable of providing the best solutions for your business. Actual implementation – Ask the vendor how long it will take for them to implement the software or the technology into your company’s infrastructure. Also, it’s important to know whether the implementation itself will come with any extra costs. Innovation – When it comes to the IT industry, you should go with vendors that are constantly innovating with their products. VMware is a world leader in this case. A business can’t be run properly without reliable technology. If you need to improve the productivity of your team by outsourcing your IT services, then feel free to contact us to receive a free consultation. A system engineer will meet with you in order to learn more about your business’s needs. At the end of the consultation, you will receive a personalized recommendation based on the information you provided to our system engineer. 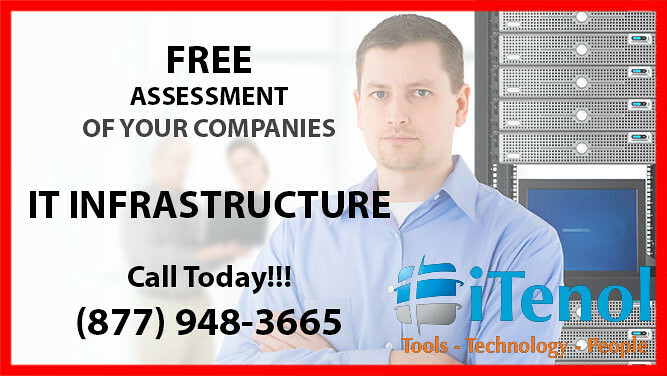 Be sure to give us a call at (877) 948-3665 if you want to receive your free business technology consultation.